Sir Thomas Mostyn of Gloddaith, the 2nd Baronet (c.1651-92) was one of the greatest Welsh antiquarians of his generation. During the course of his lifetime, in addition to acquiring an impressive array of coins and other antiquities, he assembled what was perhaps the greatest private collection of fine manuscripts ever made in Wales. 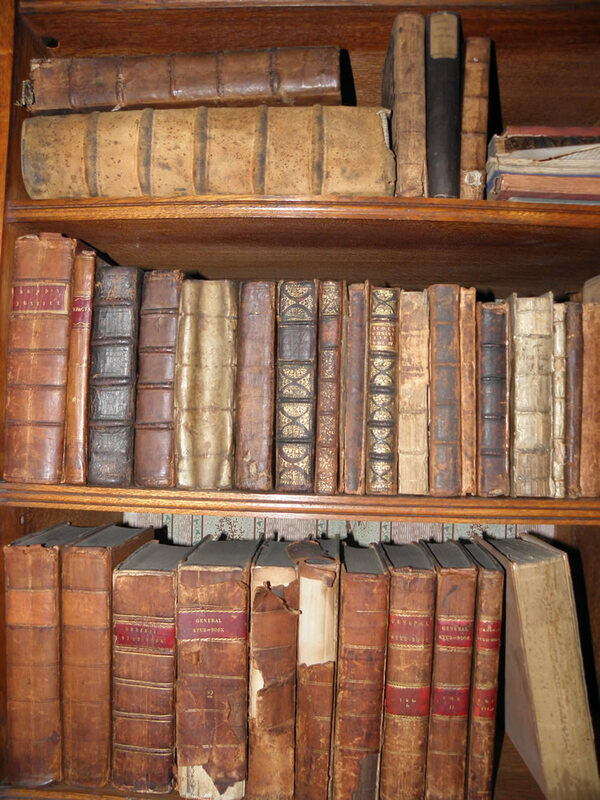 By the time of his death, his library at Gloddaith was famous; his brother concluding that he had ‘the best taste of books and learning of any country gentleman that I ever saw in these parts’. Sir Thomas Mostyn’s antiquarian interests were broad and diverse. His library contained many important manuscripts relating to the history of Wales including Elis Gruffydd’s Chronicle, volumes of medieval Welsh poetry, of the laws of Hywel Dda and the works of Geoffrey of Monmouth. However, he also employed people in London to actively seek out works of English, French and Italian origin, purchasing valuable manuscripts such as the Thorney Abbey Gospels and a copy of Froissart’s Chronicles. In the 1840s a new library room was built at Mostyn hall to house Sir Thomas Mostyn’s collection and subsequent additions which had been made to it, noticeably by the 4th baronet and from the Bodysgallen and Corygedol libraries. Most of the Welsh themed manuscripts were acquired by the National Library of Wales in 1918 and there were two major sales of the remaining materials in 1920 and 1974. Thus, though Mostyn hall retains many items of significance, the jewels of Sir Thomas Mostyn’s collection are now housed in various libraries, archives, museums around the world.